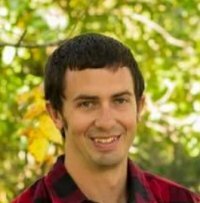 Brett A. Korves, 30, of St. Jacob, IL, born March 9, 1989 in Belleville, IL, passed away on Thursday, April 4, 2019 in St. Louis, MO. Brett #25 The Kid Korves was the Track Champion of Belle-Clair Race Track for 2018 and member of AARA. He was a third generation and 10 year veteran of the Swansea Fire Department. Past Fireman of the year for Swansea Fire Department, and worked with the Swansea Fire Department Cadet Program. He was always ready to help, working many Church and Homecoming picnics with Tribouts family business. Denny and Jessica Tribout, Jr.
Visitation: Friends may call 4 to 8 pm on Tuesday, April 9, and 10 to 11 am on Wednesday, April 10, 2019 at Kurrus Funeral Home, 1773 Frank Scott Pkwy W, Belleville, IL. Fire Department walk through will be held at 7 pm. Funeral: Funeral services will be held 11 am Wednesday, April 10, 2019 at Kurrus Funeral Home, Belleville, IL with the Rev. Greg Doussard officiating. Interment will follow in the Valhalla Gardens of Memory where Fire Department Honor Guard Services will be held. So very sorry for your loss, our thoughts and prayers go out to you and your family. to give love and comfort.